I love the holidays, but they can be a bit stressful. I think it’s partly because we are just so busy. From buying the perfect gifts, decorating, cleaning, cooking and baking, there is so much on our plates. Don’t get me wrong, I wouldn’t change the holiday chaos for anything. Instead, I meet those challenges with a positive attitude and hope for the best. The good news is that I’ve never been disappointed. Spending time with family and friends is priceless and makes all the extra effort well worth it. One holiday challenge is last minute drop-ins. It’s awesome when friends and family pop over for a visit, but then I’m always thinking what do I serve them? The answer is you serve them what you have already in your pantry and fridge! 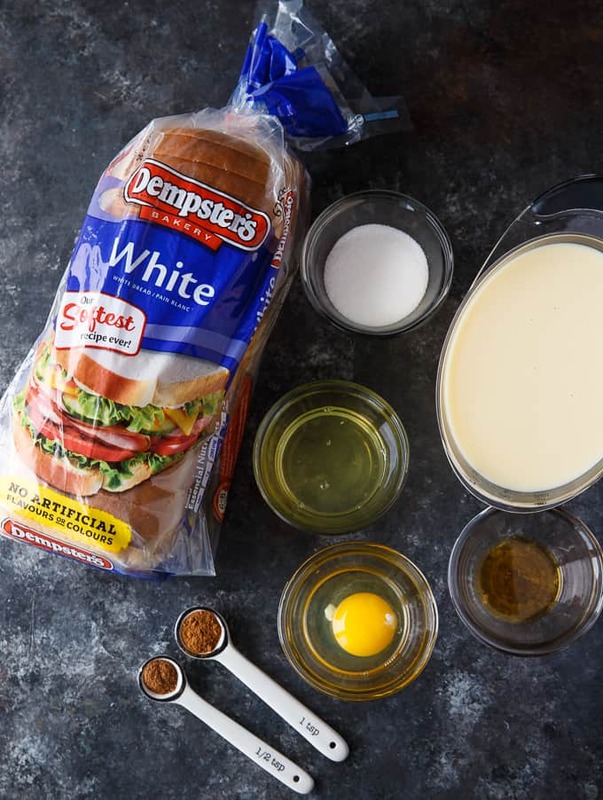 I always have Dempster’s White Bread in my pantry and a couple jugs of eggnog in the fridge. 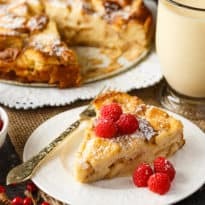 I suggest you whip up Eggnog Bread Pudding next time you are caught off guard by unexpected guests. It’s a recipe that is sure to impress! 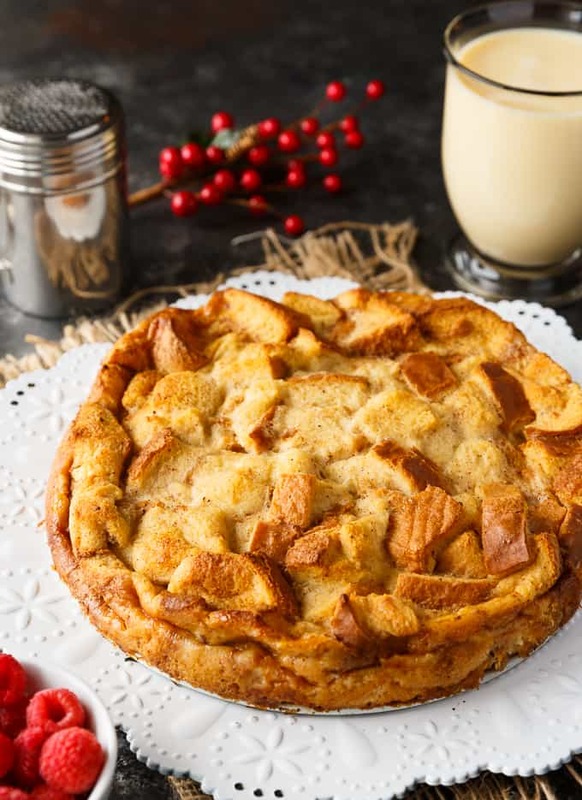 You’ll need Dempster’s White Bread, eggnog, eggs, cinnamon, nutmeg, sugar and vanilla extract. That’s it! Easy peasy. 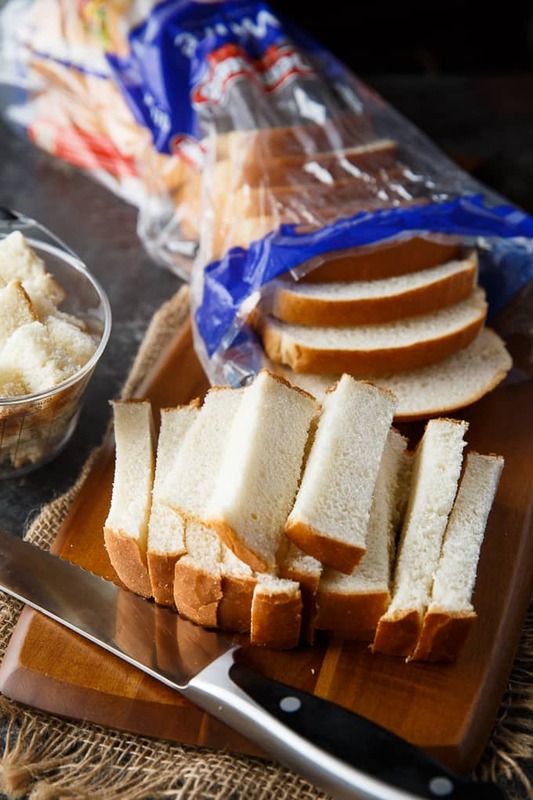 I use Dempster’s White Bread both on its own for toast and sandwiches and in my recipes. It’s super soft, high quality and always yields a fabulous result. 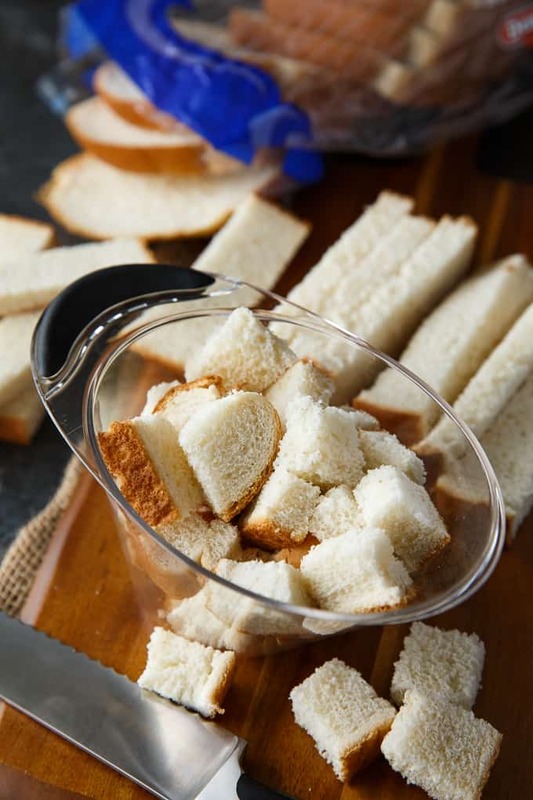 The first step is the bread into six cups of bread cubes. It’s similar to how you would start out making stuffing for your Christmas turkey. After you’ve whisked the rest of the ingredients together, add the bread cubes and stir to combine. Then, let everything get happy together for about 10 minutes. The flavours will have a chance to permeate the bread cubes. 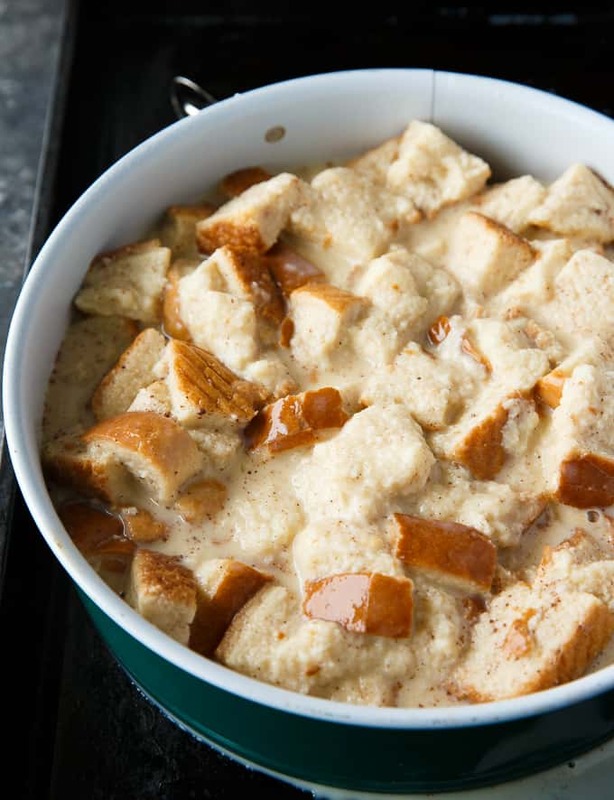 My easy hack is to make bread pudding in a springform pan! It’s easy to remove and the pudding holds together beautifully. 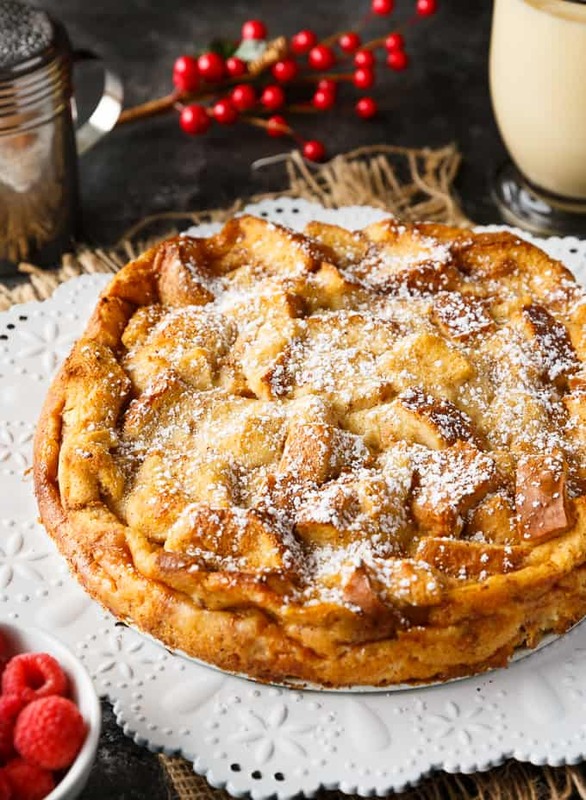 The recipe takes one hour to bake so you can visit with your guests while your kitchen starts to smell a wonderfully sweet aroma. I’ve made this recipe several times already and it turns out perfect each and every time! To make it even more festive, sprinkle icing sugar on top. The icing sugar adds another element of decadence and adds to the festive presentation. I also added some fresh raspberries to give it a pop of colour. It’s such a pretty dessert! 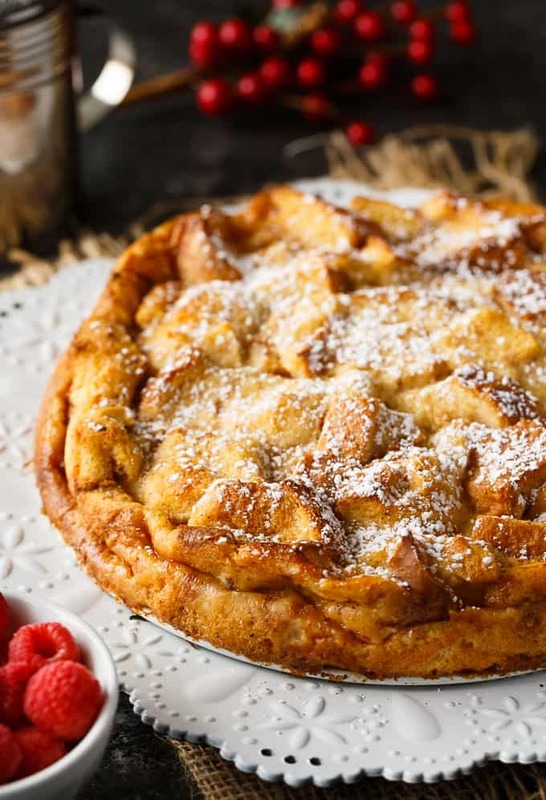 Serve it warm from the oven with a big glass of eggnog. Each bite practically melts in your mouth. The flavour of the eggnog soaks right into the bread so it’s truly a heavenly experience to eat. 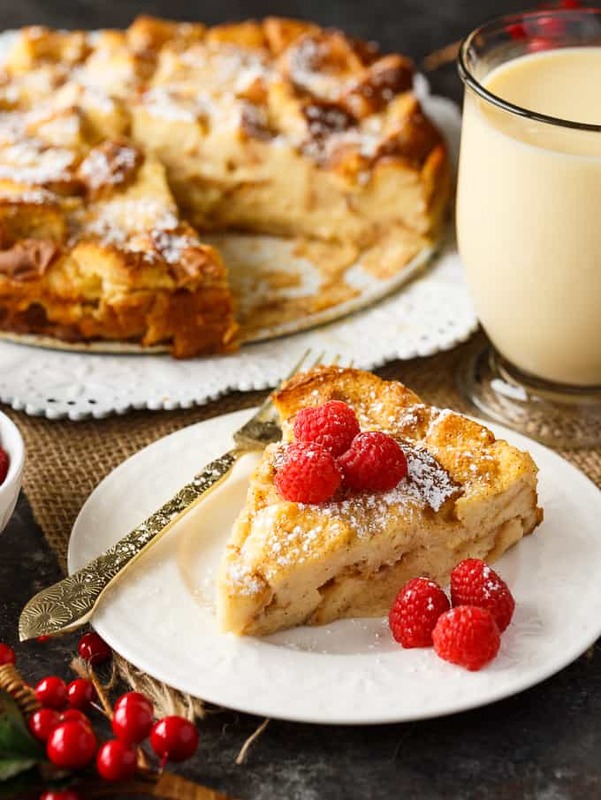 Next time you’re in a pinch with unexpected guests or just want a dessert with mega WOW factor, this Eggnog Bread Pudding is a must-try. It’s a staple on our holiday menu because of how easy it is to make and how much it’s enjoyed by everyone who tries it. Why spend a ton of time in the kitchen baking when you could be visiting? I’m all about the simple things in life! Follow along on social media via #dempstersholidayhacks and discover other ways you can impress your guests this holiday season! What do you serve when unexpected guests show up on your doorstep? Connect with Dempster’s on Facebook, Instagram, Twitter, Pinterest and YouTube. 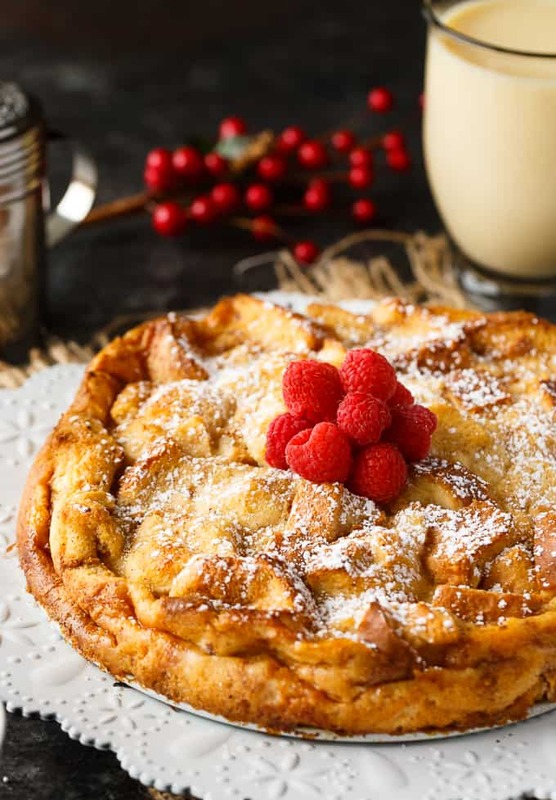 Serve it warm from the oven with a big glass of eggnog. Each bite practically melts in your mouth. Preheat oven to 350F. Spray a 10-inch springform pan with cooking spray. Set aside. 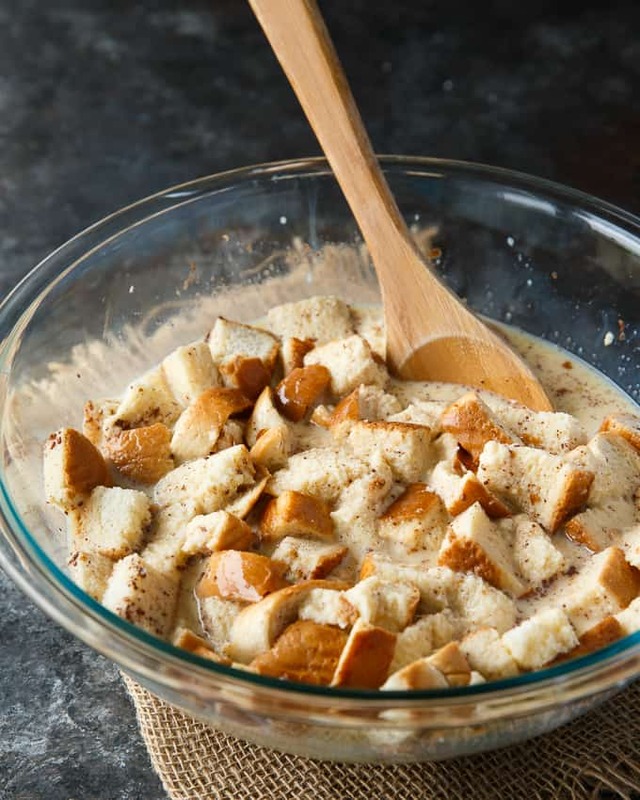 In a large bowl, stir together eggnog, sugar, vanilla, cinnamon, nutmeg, egg and egg whites. Add in bread cubes. Stir to combine. Leave mixture sit for 10 minutes. Pour mixture into springform pan. Bake 1 hour. Let stand 10 minutes and release the sides of the springform pan. Top with icing sugar and raspberries, if desired. OMG this recipe is SO yummy and easy to make. I’m currently making it for the second time this week. 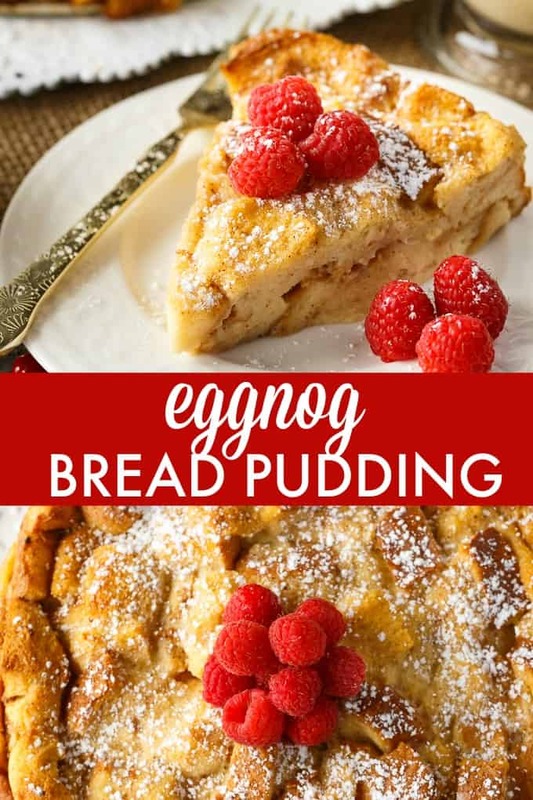 I’m not even a huge eggnog lover but I will be making this whenever I can get my hands on some eggnog lol Thanks so mich for sharing. Oh and i didn’t have this bread on hand so I used the Hawaiian bread rolls and it was perfect.